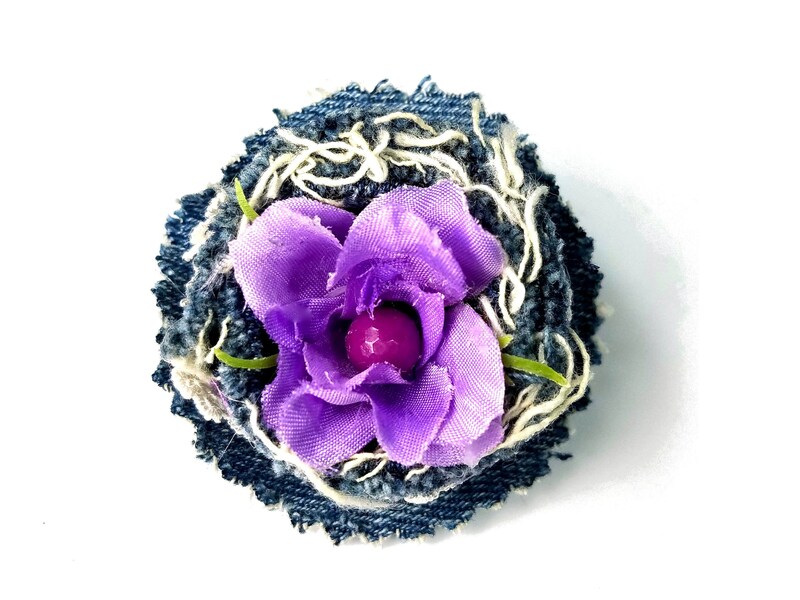 Chic shabby fiber art jewelry flower brooch made with upcycled scraps of denim with purple silk flower and lace. 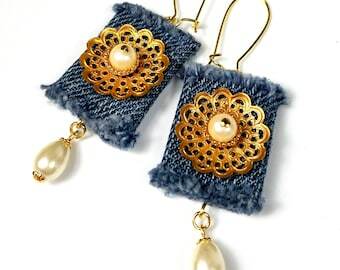 Measures 2 1/4". 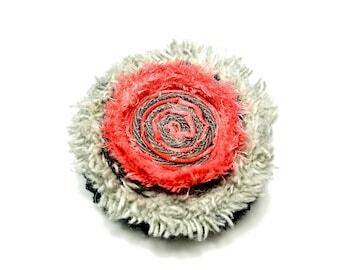 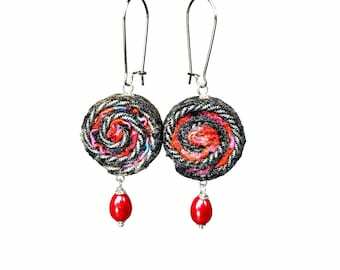 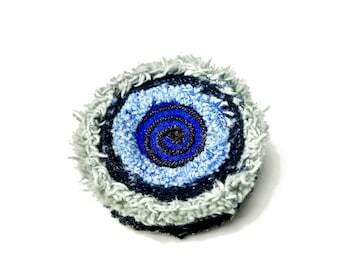 This chunky brooch would look great on a coat, jacket, heavy sweater or cardigan. Perfect for spring! 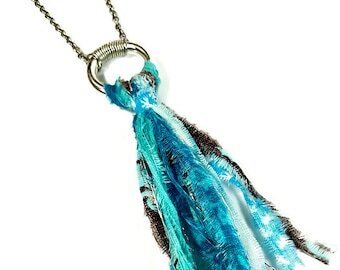 Makes a great gift for women.